We're here live in New York City for Sprint and Motorola's joint event, where the companies are expected to unveil their latest collaborations. But what will Dan Hesse and Sanjay Jha announce today? To tell you the truth, information is as scarce as hen's teeth, but the most certain speculation right now centers around an eventual announcement of the ATRIX 4G-like Motorola Photon 4G and a WiMAX-powered XOOM. Whether these will be the devices we'll see only time will tell. Make sure to tune to our web-frequencies today at 12:30PM ET | 11:30AM CT | 9:30AM PT for our up-to-the-minute updates! Motorola & Sprint sounds like a good deal to me. 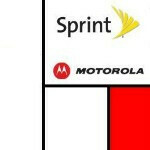 Hey to have all the top Android phone makers on Sprint's 4G WiMAX is great. There is a lot of "choice" at Sprint. HTC, Samsung, & now welcome Motorola. Little by little & quietly Sprint has some serious smartphones in its arsenal! Good job Sprint! Yikes, the XOOM, Photon, and Triumph? Looks like Sprint is taking Motorola seriously.